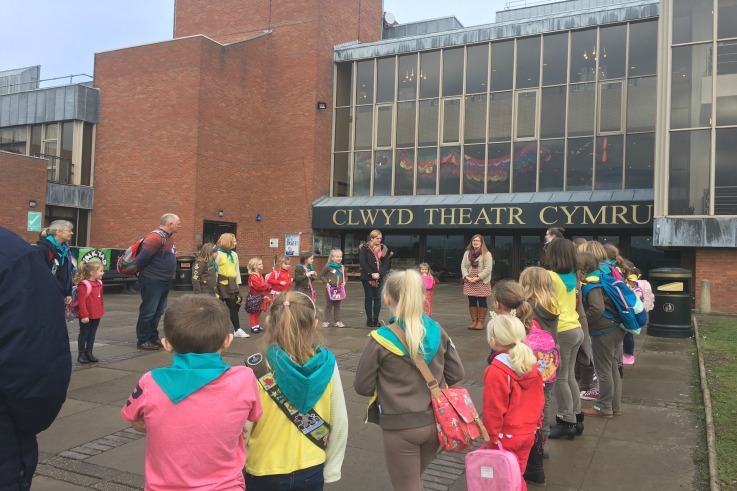 On Saturday, 90 girls from Ellesmere District headed over by coach to Theatre Clwyd to see the Aladdin – the Wok ‘n’ Roll pantomime. Arriving with plenty of time to spare, the girls played a few games before they headed inside to eat their lunches before the performance began. They had ice creams at the interval and some of the girls even got the chance to have photos taken with the cast members.